Play 5 Genuine Links Courses in the Kingdom of Fife, Scotland. Stay 6 Nights in St Andrews and Play 5 Genuine Scottish Links Courses in the Kingdom of Fife. Every day, for all 5 days, we will place you in the Daily Ballot to play the Old Course - so there should be a high chance of success. If successful, you pay the Green Fee directly to the Starter at the Old Course. 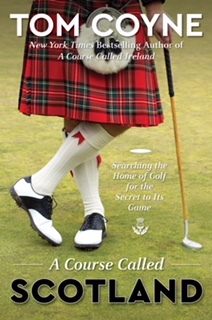 In the meantime, Celtic Golf have tailored a most delightful vacation for you and your partner or small group. During the day there is exhilarating links golf with of course all your tee times pre-booked; and, because you are self-driving, you can be truly independent and venture wherever your mood takes you. You will end each day at the exquisite, boutique Hotel du Vin at St Andrews - a haven for food and wine lovers with its stylish in-house Bistro, where you can relax and celebrate in style (and we give you a head start on the tab with a £100 food and beverage credit). Need we say more? Make the first step towards the trip of a lifetime - it starts today with a call or an email to one of the experts at Celtic Golf. Sample vacation. All details can be customized to your requirements. Please contact us now for more information. Spam protection – please answer this simple question: What is the last letter of the word “Golf”?